There are days when creativity and inspiration flow freely and there are days when the fingers fall asleep on the keyboard. I was totally inspired last night and thought I saved the document (Seppie alla Veneziana) before shutting down the laptop. When I opened the document today, all the text was gone. Boo Hoo. Here’s the cliff notes version: The text described how Italy is lovely and also mentioned something about my being attached to Italy-the food, the people, the language, the fashion, gelatos – highest degree of attachment on this last one. Then I went deep…and into the Buddhist teachings on non-attachment. I know where my attachments are and I am working toward “liberation”. Attachments are only a hindrance if they cause harm to yourself or others. Therefore, gelato is OK.
My first week back in town I drove to a couple of supermarkets in search of squid ink and was unsuccessful…until Doris Italian Market saved the day. 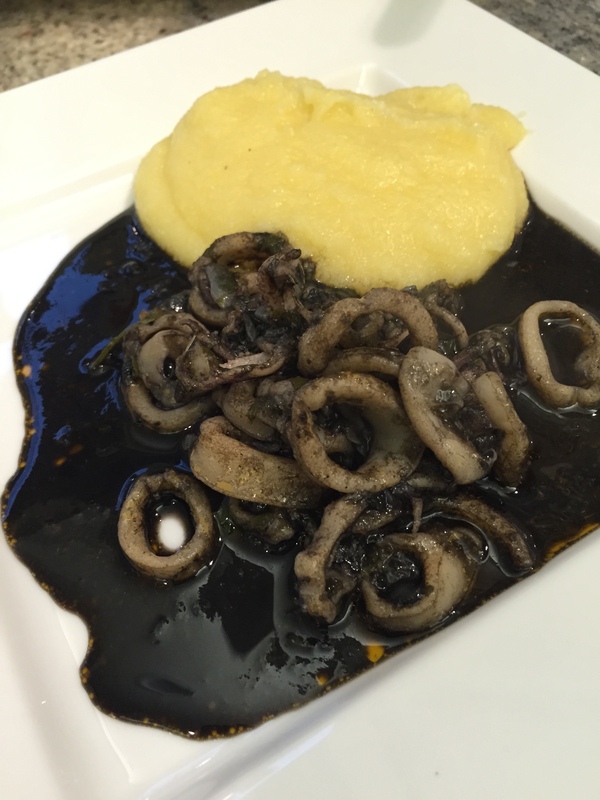 A small jar of squid ink (Cuttlefish Ink) costs $18.00. 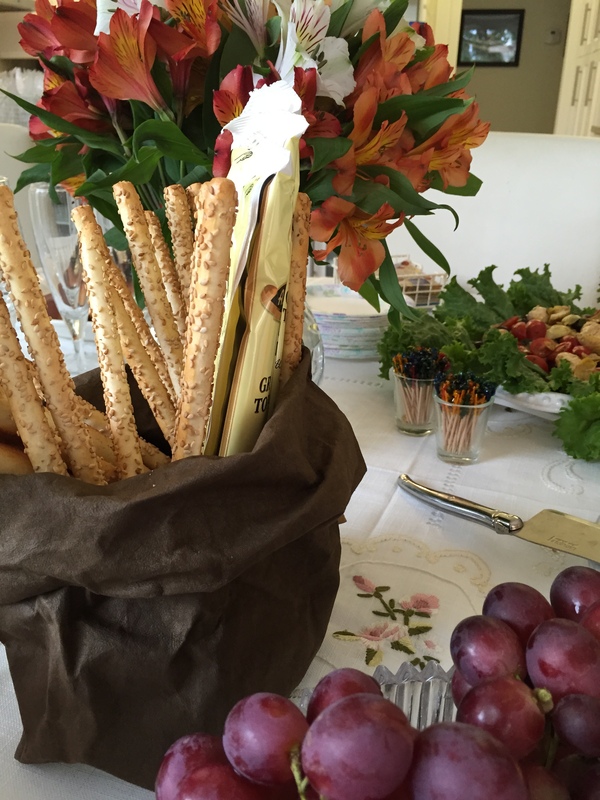 We invited friends over for the Seppie alla Veneziana and an assortment of salads. Things got very merry. Portuguese wine became the main attraction. Clean the cuttlefish and wash it well. Cut the bodies into thin rings, and chop the tentacles. Set a pot on the fire and sauté the onion and garlic in the olive oil, over a brisk flame. When the onion is lightly browned, remove and discard the garlic, then add the cuttlefish to the pot, salt them lightly, and stir in the parsley Continue sautéing for ten minutes, stirring all the while, then add the wine and bring the mixture to a simmer. Add the ink to the cuttlefish according to your taste. In other words, if you want a very dark dish add about 2-3 tablespoons of ink. Stir in the tomato paste as well, and continue simmering over a low flame until the cuttlefish is fork tender (45-50 minutes), adding the hot broth as need be to replace the liquid that evaporates. Check seasoning and serve, in an elegant pre-heated dish. Adaptation: I tripled the recipe quantities (except for the ink, kept it at 2-3 heaping teaspoonfuls) and added Pomodoro. Tem dia em que estou inspirada e as palavras fluem facílmente para a tela do computador. Ontem era uma noite boa para escrever no blog. Pena que não prestei atenção na hora de salvar o documento e todo o texto foi para o espaço. O que dou conta de oferecer hoje é um versão mais simples do texto: O texto falava sobre a beleza da Italia e sobre o meu apego ao pais—a culinária, as pessoas, a lingua, e o gelato—o gelato é o principal. O texto evoluiu muito bem…escrevi sobre os ensinamentos do Budismo, e sobre como não é saudável se apegar a seres ou objetos. As vezes nem notamos que existe este apego. (É o meu caso). Há algum tempo que avalío esta caracteristica da minha pessoa. É importante saber que os apêgos só não são bons quando causam mal a alguem. Então o gelato esta OK.
Este prato de Seppie Alla Veneziana é servido com polenta. Quando cheguei da Italia convidamos os amigos para provar este prato…e uns vinhos Portugueses. Limpe e lave bem a lula. Corte os corpos em rodelas e os tentáculos em pedaços. Coloque uma panela no fogo e esquente o azeite. Passe a cebola e o alho no azeite quante até a cebola ficar corada. Retire o dente de alho e adicione a lula, o sal e a salsinha. Cozinhe por 10 – 15 minutos, sempre mexendo. 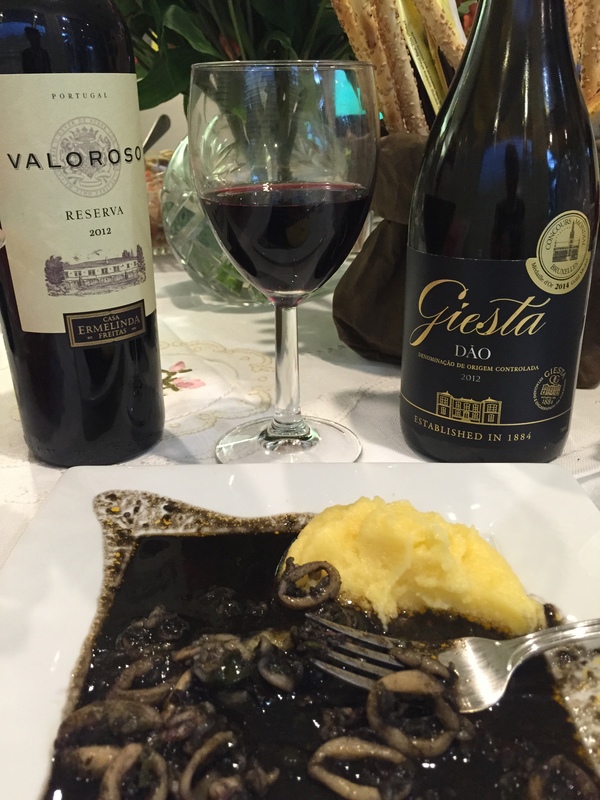 Adicione o vinho e deixe ferver levemente (fogo baixo). Adicione a tinta da lula. Se quizer que o molho fique bem escuro, coloque mais tinta. (Eu usei 2.5 colheres de chá. Junte a pasta de tomate e deixe na fervura leve (fogo baixo) até a lula ficar amolecer (entre 45-50 minutos). Pode acrescentar caldo quente para repor o liquido que evaporar.